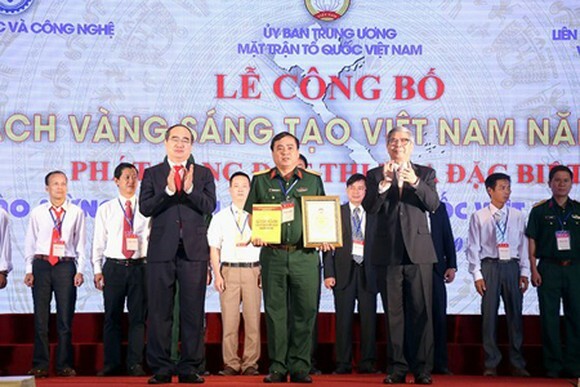 The Vietnam Fatherland Front (VFF) cooperated with the Ministry of Science & Technology and the Vietnam Union of Science and Technology Associations to organize the debut ceremony of ‘the Vietnam Golden Book of Innovation 2018’ in Hanoi yesterday. 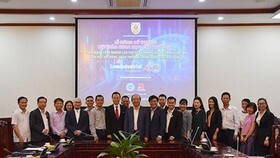 Secretary of Ho Chi Minh City’s Central Party Committee Nguyen Thien Nhan delivered certificates to excellent individuals and groups of authors. 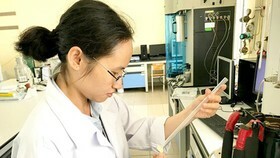 Following the initial success of the Vietnam Innovation Golden Book in 2016 and 2017, this year’s book is the collection of 73 prominent innovative works in science and technology of individuals as well as teams who have been prize winners at competitions held by ministries, sectors, VFF member organizations, provinces and cities since 2016. 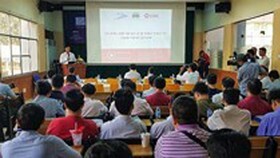 All of them have been successfully implemented into the reality with very positive results, greatly contributing to the working performance improvement and energy saving. According to the selection criteria, the number of chosen projects must be corresponding with the anniversary number of the August Revolution and Independence Day. Therefore, via a ballot voting process, the evaluation committee was able to select and award the certificate for 73 works. In his speech at the ceremony, on behalf of the Central Party and State leaders, President Tran Dai Quang congratulated the 73 winners who are named in the book on their excellent innovative projects and solutions. He insisted that developing and implementing science and technology into the reality is one of the main focuses of the nation. It is the motive for the economic and social growth, the independence protection. 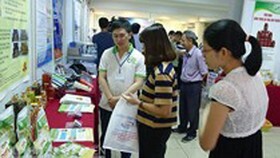 Recently, the field of science and technology has achieved prominent results while its human resources have become more and more advanced, greatly contributing to the industrialization, modernization, and globalization of the country. 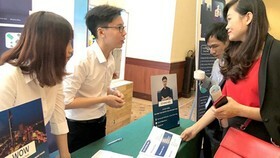 Authors of these achievements range from scientists, professors, business people, to even students, which signals an impressive innovation potential of every class of Vietnam. This is highly appreciated and should be promoted more widely. 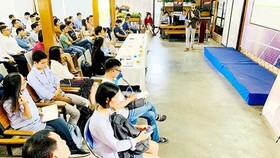 The President also suggested that related ministries and the local authorities strictly follow training and nurturing policies of the State toward scientific and technological human resources, especially young talents. Good working and researching conditions must be established so that these people feel it is worth working for the nation. 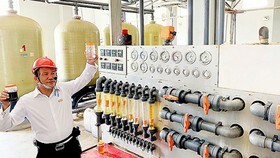 The freedom in doing research and implementing innovation must be respected while the connection between the State and scientists, businesses, as well as farmers must be boosted so that research results are able to be applied successfully into the reality. 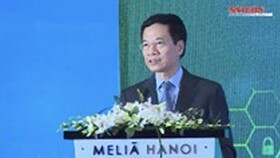 Taking part in the event are President Tran Dai Quang, Head of the Commission for Mass Mobilization Truong Thi Mai, Secretary of Ho Chi Minh City’s Central Party Committee Nguyen Thien Nhan. 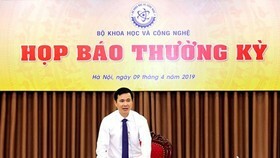 In the ceremony, the Vietnam Fatherland Front also launched a contest to celebrate the Congress of the Vietnam Fatherland Front in the term from 2019 – 2024 from September 1 – 30, 2019. The President called upon Vietnamese citizens who live in the country or abroad to better promote the patriotism and strong will in order to constitute extraordinary achievements in various fields. In the Global Innovation Index made by the World Intellectual Property Organization in 2017, Vietnam was ranked 47/127 nations. Its economy grew by 12 positions compared to 2016. This is the highest ranking that Vietnam has achieved so far, signaling an impressive growth in innovative and creative activities in science and technology.